Laminating technology | NIHON MICRON Co., Ltd. 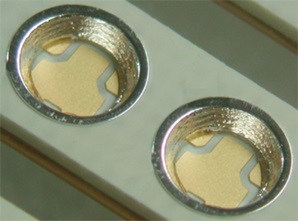 These products can be used for LED reflectors, and the milled surface can be subject to tapering, plating, or other processing. They can also have a dam for potting resin. The depth (height) of the dam is not restricted. A metal plate for heat dissipation can be bonded to the reverse side of a product. It is possible to affix a metal plate that covers the entire PWB surface. or high heat dissipation, chips can be directly mounted to the metal plate through a pre-window cut hole on the base substrate.